AMP is developing a programme to support female financial advisers, modelled on its own women's leadership programmes. 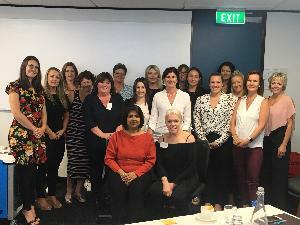 General manager of advice and sales Therese Singleton said about 30 financial advisers had attended the inaugural session and it would be developed next year into an ongoing education and support programme. She said it recognised that the needs of women were often "fundamentally different' to those of male financial advisers. A network was needed to allow women to support each other through the challenges and opportunities that presented themselves in the financial advice sector she said. People coming into the financial advice sector were often going into organisations full of older men, she said. "That can be quite offputting for a younger woman becoming a financial adviser." She said the programme would identify problems faced by financial advisers and the opportunities that were available, by getting a network of women together. "Some of the problems are common to all female financial advisers." The network would support the infrastructure that already existed as a way in and then look to build future business models that were not so "heavily oriented on male, older financial advisers," she said. The network would empower and educate women in financial advice roles to enable them to start to address the things they needed to, to be successful. "We want to be the business partner of choice for all financial advisers but in particular women. There's a real gap there that hasn't been filled." Singleton said the ideal number for the network was not much more than the 30 at the inaugural session. "You wouldn't want many more than that for a proper educational programme. It may not necessarily result in any tangible commercial benefit in the first year but I have faith that it will result in these women becoming more successful."